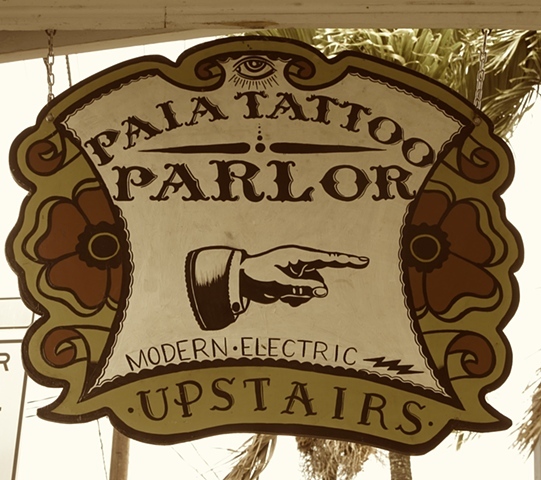 Established in 2009, Paia Tattoo Parlor is dedicated to upholding the highest standards in professional tattooing. Our spacious shop is located on the beautiful North Shore of Maui in Paia, a town known for both its burgeoning art scene and its laid back surfer/hippie vibe. Paia Tattoo Parlor houses some of the most experienced artists on the island, and is a custom shop specializing in traditional, Japanese, Polynesian, black and grey, and photorealism. Whether seeking a small memento of your trip to Hawai'i or an entire bodysuit, we are committed to pairing you with the right tattooist to fulfill your needs. Shop hours are 10-7 Mon-Sat 10-6 Sun, later for appointments. Conveniently located at 120 Hana Highway, just 10 minutes from Kahului Airport. Appointments are recommended but walk-ins are always welcome. Driving directions: From Kahului follow Hana Highway to Paia Town. Go straight through the light at Baldwin Avenue, then park behind Charley's Restaurant. We are located up the staircase to the right of Rock n Brews, and across the street from Minit Stop and The Shops at Paia Bay. For more information call us at (808) 579-8515.